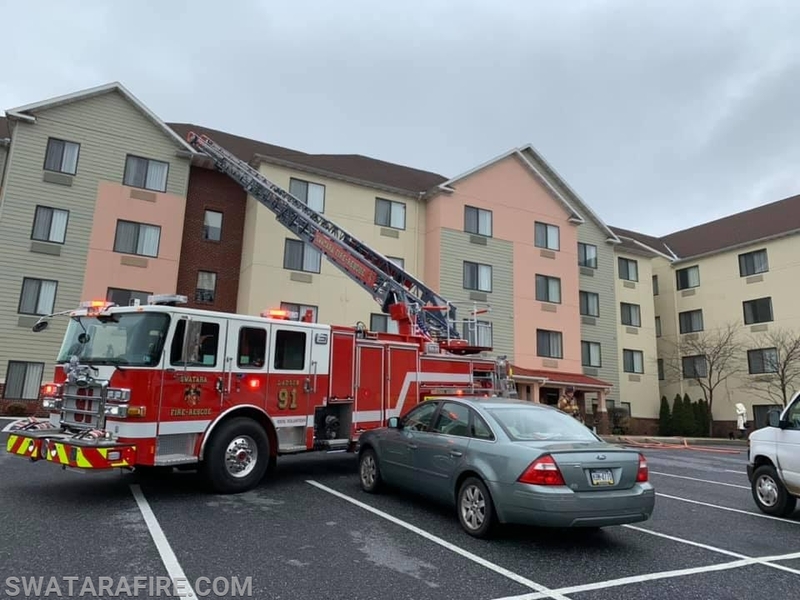 This afternoon shortly after 1300, Box 49-2 was dispatched for a reported fire in a hotel in the 400 Block of Friendship Road. Chief 91-3 (Orth) arrived and was advised of a fire in the laundry room. E91-2 arrived as the first due Engine Company and Truck 91(Reinhart) arrived as the first due Truck Company. E91 (Oliver) arrived picking up 91-2's lay. As units were arriving, a victim was reported on the 2nd floor. Crews deployed a line to division 1 to encounter a working fire in the laundry room and a moderate smoke condition throughout the first floor. All searches proved negative as all occupants had been evacuated. Crews extinguished the fire and began ventilation of the first floor. Upon completion the box was scaled back and placed in service shortly after.